feedback | Agile KM for me… and you? 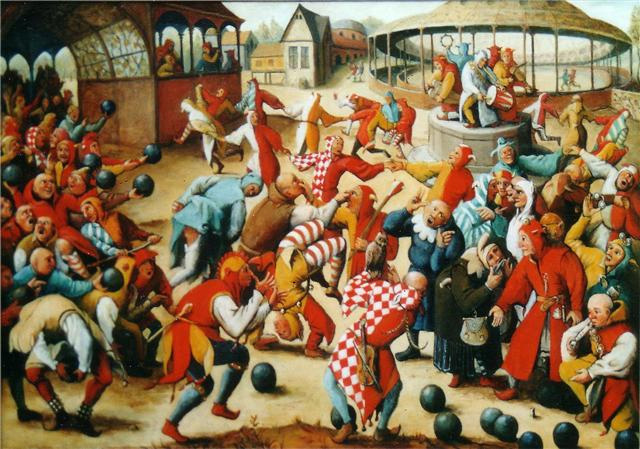 This is a new series of posts, an alphabet primer of agile knowledge management (KM), to touch upon some of the key concepts, approaches, methods, tools, insights. And because there could have been different alternatives for each letter I’m also introducing the words I had to let go of here. Today, after covering the ABC of knowledge management I’m continuing with the next six letters of the alphabet primer: DEFGHI. Let it be said once and for all: KM is not just about the systems and tools, it’s crucially about people. Engaging people in KM is as important as -and I would argue even more important than- the information systems that hold the promises of big data… Engage for success! And there are many traditions of engagement to start from. Empowerment – Empowering employees or the people generally involved in a KM initiative is not always an objective. But sure enough it helps engage them in your general KM approach and with the tools and systems that it relies on. Enabling (environment) – Management, funding etc. 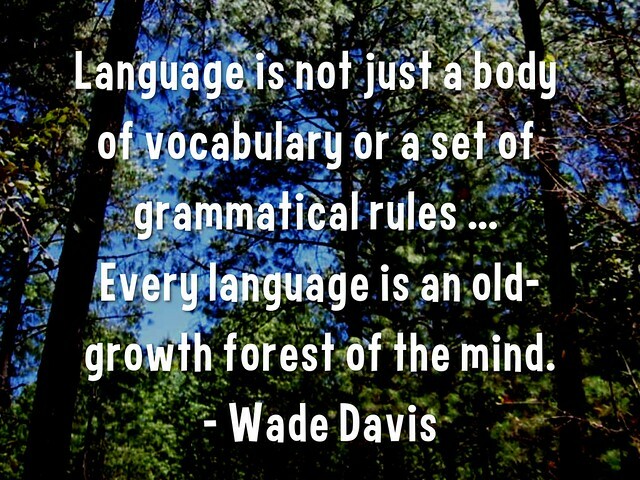 are all part of an environment in which knowledge gardening can really thrive. The culture is also a big part of this enabling environment if it emphasises curiosity, learning, openness, acceptance of others and of failure, empathy, humility etc. Exit interview – After action reviews are one well-known KM tool. In the older tradition of KM, exit interviews are another one. How to make sure that a person leaving is not leaving with all their knowledge, network and more. This has been the object of fascinating debates on KM4Dev and I already reflected on this in the past. Feedback and its specific offshoot ‘feedback loops’ are central to any knowledge management approach that puts learning at its centre. 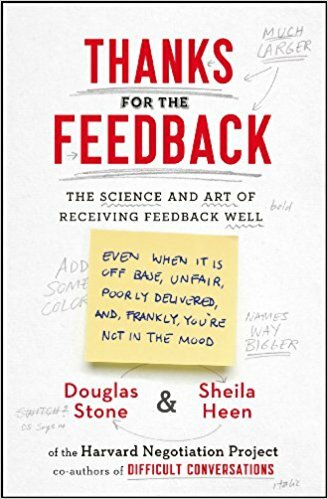 Feedback is -on a personal level- an essential piece in improving one’s actions and questioning frames of reference and mindsets. And it’s all the more important to make feedback an important part of KM that it is difficult to give feedback, and even more so to give (and receive) good, useful feedback. 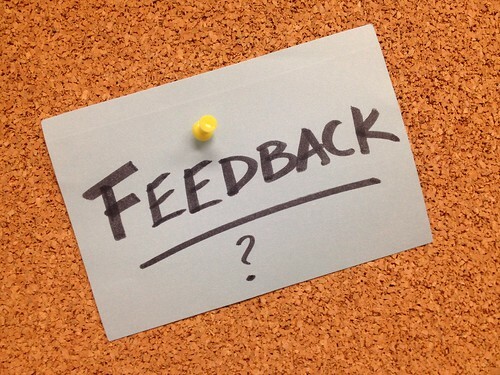 Feedback loops, are to knowledge management processes what feedback is to interpersonal relationships, a way to build in signals giving indication of what is going well or not along the way. 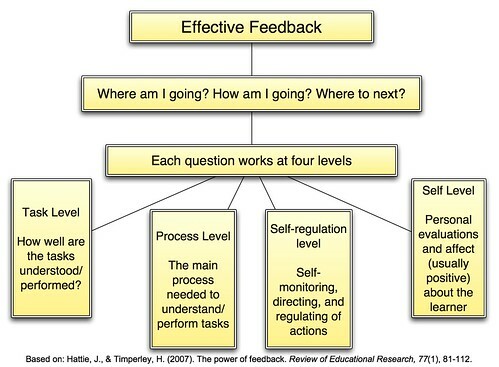 Feedback loops are essential to any learning system or approach. And the earlier they kick in, the better! Failure – What with the fail fair, safe-fail approaches and more. Failures in KM are not the holy grail, but they’re one sure way to learn from important mistakes and improve (feedback loops again). Fail fast, fail often, stand up again. Quick & dirty KM to get to the real thing. That is also the history of development cooperation. 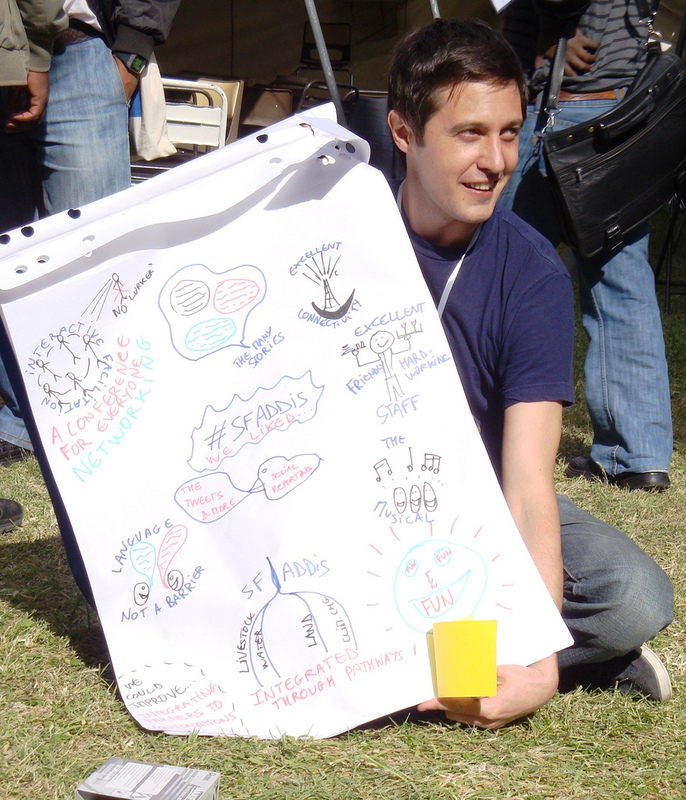 Facilitation – Nick Milton from Knoco said it: the first skill any KM team should learn is facilitation. Without it, how to get the best thinking from everyone to make a KM approach work? And with knowledge sharing and learning at the heart of KM, there is just no way around understanding how facilitation helps and applying it to all collective endeavours. Folksonomy – Taxonomies are an important part of information management, to agree on the terms that will help curate a collection information items on a meta-level. Folksonomies are crowdsourced -or at least user-defined- taxonomies that help users find content related to what they’re searching, using their language (rather than language defined by a corporation). Knowledge is a garden, and knowledge management is the gardening of that knowledge. 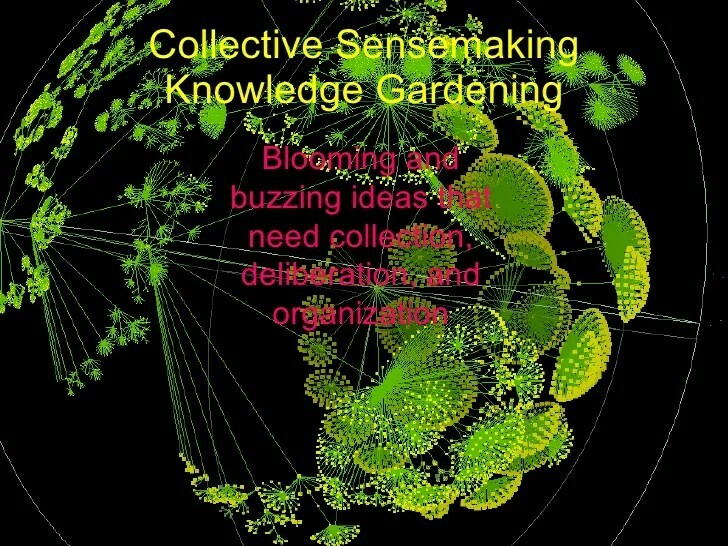 The knowledge ecology that KM feeds off of depends on the sowing (starting individual or collective initiatives), fertilising (capacity development, innovation, monitoring around these), pruning and trimming (curation) etc. Gamification – An increasingly important approach in various areas, but also in KM the use of games or gaming elements applied to serious initiatives is a way to create buy-in where simple databases and manuals failed miserably. Gains – Since KM is so much about behaviour change, the idea of gains must be central to any KMer, Articulating the gains, the win-win, the ‘what’s in it for me’ is essential for KM buy-in. Learning (the third and in my view most crucial element of KM) is an eternal quest towards recognising the limits of your knowledge and building our (understanding of our) world upon the shoulders of giants. As such it makes us humble about the wealth of uncharted knowledge that we still have to get familiar with. But humility is also about managing expectations about KM. Since knowledge management has so much to do with behaviours, it takes time to effect change and being humble rather than over-promising is a useful stance when you have to roll out a KM program. I mentioned in the past how the path to wisdom is paved with effectiveness, focus, humility and empathy. Honesty – This was the only other H-word I found useful in the realm of KM, though there must be more of these out there. In any case honesty is, for very similar reasons to humility, a useful quality to have in KM particularly when it comes to managing expectations, and making yourself and your work more acceptable by building trust (and trust is the truth. 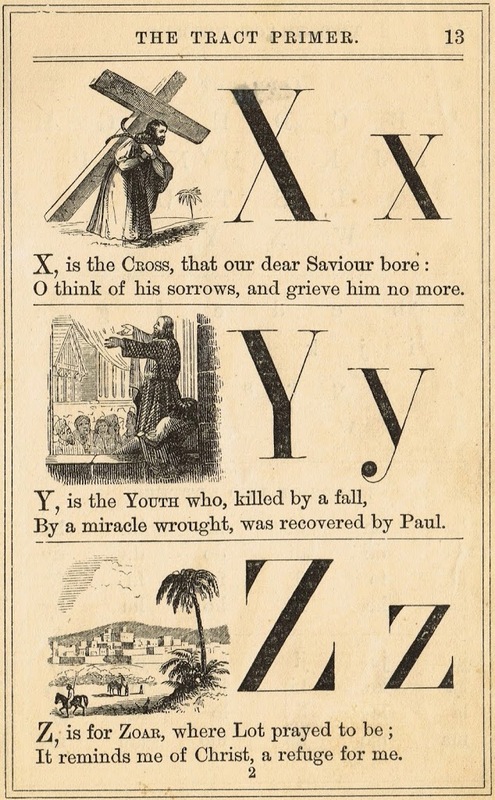 After the letter C, I is another one of the KM heavyweight letters in this alphabet primer. The choice here is large, as you can see from the other options below. But of course information should be sitting on the I-throne. 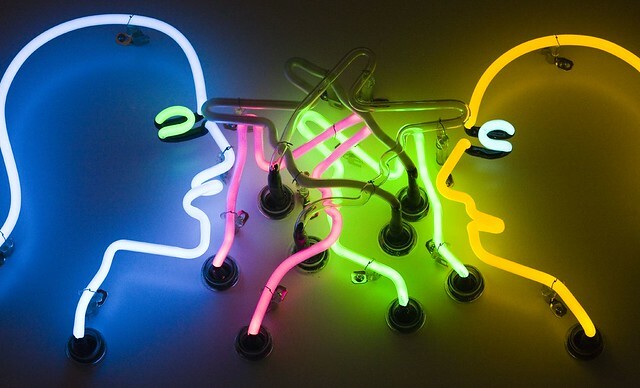 Information is at the core of KM, both in the documentation side of things, on the personal learning side through absorbing that documentation, and generally because it is about codifying other peoples’ know-how and knowledge in ways that benefit a much wider group of others than would be possible through human mediation. Under information come also information management and information systems. Innovation – More than KM, innovation has really become the centre stage of knowledge work and some would even mention that of all KM generations, the new one is all geared towards innovation. For sure getting people to share knowledge and learn together brings them to innovate. If a culture of curiosity, safe failing, encouragement, daring is there, then the ground is extremely fertile for ongoing innovation capacity. 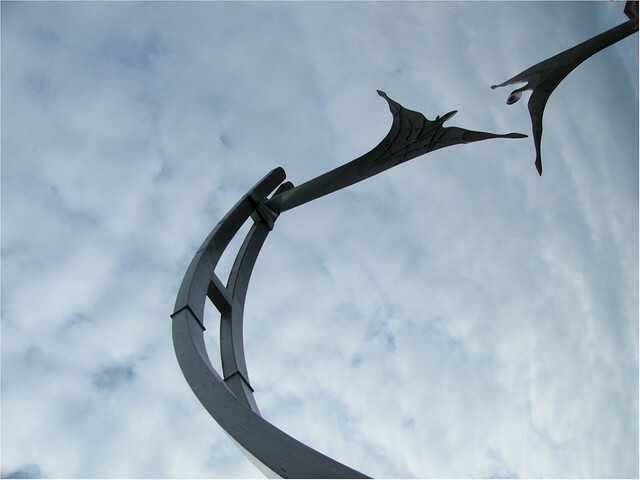 Institutional memory – Another of the classic entry points to knowledge management: how to make sure an organisation remembers what happened in the past and prevents reinventing the wheel all over again. This goes together with exit interviews but goes much beyond that to the collective records of an organisation or network. 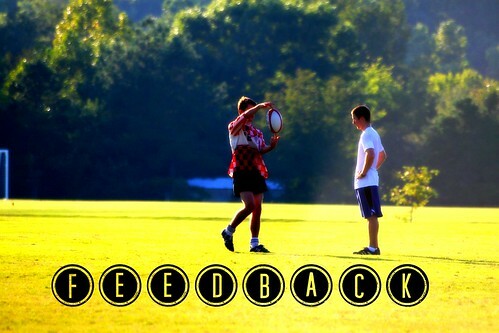 And so the results of the feedback survey on this blog are in (though you can still vote here). A big THANK YOU to you all for chipping in! View the results via the link from the survey box below. What posts and topics should this blog focus on? Where does this leave me? With a number of excellent pointers which I will try and apply, though of course I also follow my own intuition and will not keep stuck with one way of doing things, or blogging in this context. Let me get this blog to see improvements trickle down the pyramid, Richard! Sometimes I wonder if what I’m writing on this blog is of any value to anyone. It certainly is to me, as I’ve come to realise quite a few times in the past. But at this stage I am much more interested in engaging with the readers of this blog, and the people that engage with the posts. And then I also fear my ideas might be stagnating. A former colleague of mine (not complexity & KM guru Jaap Pels) said that everyone has only three of four stories to tell and that’s it. Have I reached that point of exhausting my stories to tell? Perhaps YOU know that better than me. 1. Through wonderful groups like KM4Dev – yes, we are part of the solution! 4. Through references in other pubs. 5. Blogs – Ewen, I regularly pick up gems from your blog among others! Thanks! Some posts get amazing ratings (the happy families of engagement – What the heck is knowledge anyways or Portrait of the modern knowledge worker). People visiting this blog kindly never seem to make really difficult comments (or perhaps I’m not reading between their lines well enough)… though some post ratings are bad/critical, and I know for myself that some (most) of my posts are not breaking ground and probably deserve better crafting, more ideas… But how do I get to that feedback that improves this blog to make it more engaging for all? So, if I’m being true to my word, or to my motto ‘fun, focus and feedback‘, I’ve got to check with you lot if this blog is on track; and actually what it might be on track to, or what it should be. As much as I’ve dreamt of the feast of fools of feedback, now is the time to make this a reality for the blog. Could you please tell me what you like on this blog, but more particularly what you don’t like so much, where you think I’m missing the mark, where you see interesting opportunities? I would just love your feedback. A simple comment will do 🙂 It could be about the topics I cover (or don’t cover), the type of posts I share, the look and feel, the conversation I have with you, anything that comes to mind! And in addition, or perhaps to help the above, you might help me find some ideas for next posts and topics (please reply to the poll above). Now the floor is yours, this is Agile KM for me… and you? Thank you all for your great support – and a merry Christmas and happy holidays! One more year of blogging. The first year – over the past five years of blogging – when I have managed to consistently blog throughout the year, month in, month out. 63 posts. Many comments, quite some likes and ratings. A good year. This is all thanks to you 🙂 Thanks to your interactions on this blog, on Twitter, LinkedIn etc. Your readership makes this blog worth keeping up and I can’t express my gratitude warmly enough for engaging with me and my posts and helping me reflect continually at different levels and conversing with the quality hearts and minds that you have. As I am going on home leave for the end of the year, looking back at this good year, here are some final reflections, with some inspiration from John Stepper’s reflection post about his first 1.5 years of blogging. This year has also seen the development of a Pinterest board about this blog. It’s a nicer way to navigate through a see of posts (152 to date). You reckon? Next year I sure will come back to blogging with renewed energy, ideas and inspiration, about the content and the process of learning. Holidays are great for that: they feed learning by letting parts of your brain rest while activating others and stimulating our hearts… well at least mine in this case. 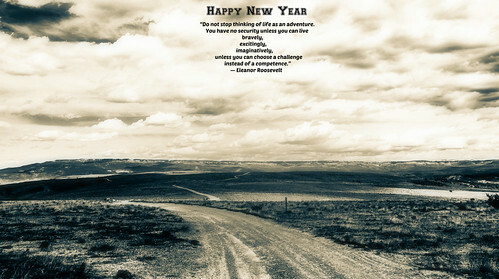 So have (hopefully) great holidays and Christmas if that means something to you, and see you in 2012! And again MANY MANY THANKS. I hope to keep exploring the role of knowledge work in social change and development work thanks to you and with you next year and beyond. Development work is (IMHO) all about empowerment: finding ways to become fully aware of one’s choices in one’s own livelihood, to become capable to make these choices and to proactively develop this liberty of choice and action so as to continually adapt to ever changing challenges – through learning. Development cooperation work is all about empowerment too, it is about supporting the empowerment mentioned previously and to help connect choices and actions on livelihood, dignity and liberty. Yet development (cooperation) work surprisingly slips back to habits, bad habits, and known bad habits at that – much like we tend to be continually over planning. We – at least some of us – talk about empowerment but we don’t champion it in practice quite as adamantly. Do it, don’t delegate! Do not bother delegating anything since you do it better than others, you know the end result will never be quite as good as if you do it. Especially if you never give others a chance to become masters and perhaps even improve on you. Buy/hire capacities, don’t develop them! Why invest in capacities you have at hand? There will always be better experts abroad than in-house. You need a specialist in strategic communication? Recruit a new staff member. Need specialist know-how for your M&E? Hire a consultant! Yeah it takes time to bring them on the same page but they are better to start with and come with a new mindset which can probably be moulded more easily, especially if they are not too old. Who needs the long sweaty road of grappling with capacity development? Despair and swear, dont’ trust and be patient! People around you are not doing things well, they just don’t get it and never will, why would you be patient and trust that they will bring the best of their intentions and capacities to perform a task? Sadly you can just despair at their misunderstanding and swear at their incapacity to do things like you (see point 1). Tell, don’t show! It takes too much time to show people how to do something so just tell them and hope that they get it. They probably don’t and then you have a good reason to follow point 3 and ultimately 1. Hush now, don’t explain! Just diss what people have to say, don’t bother explaining what is going on. So in fact, don’t even bother telling people (let alone showing them) – so ignore point 4 and just ignore people altogether and leave them in their sea of ignorance. Ignorance is bliss they say and you are kind enough to grant them this privilege. Criticize, don’t praise! People around you might be doing their best, and actually improve, but there’s always so much more that needs improving! Let them understand all these things they don’t get and that there is a long way before they get it right. A good lesson of what’s going wrong helps to learn, right? Besides, surely praising will make them lazy and self-complacent, so put them on the right track again and give them a right rinsing of criticism – preferably publicly so next time they think twice before saying something stupid! Impose your view, don’t help others find theirs! Since they have a very poor understanding of the situation, you should just show THE right perspective and way: yours. All those ideas about multiple perspectives and complementary viewpoint is just another reason to get soft, not take hard decision and remain ignorant. Luckily one person stands out to correct the ways development is being done – you are the messiah that they should have been expecting because you never fail to see what needs to be done. And there is certainly no point helping people find their own authenticity and purpose; instead they should support your approach, the only right one. Hide the truth, don’t criticize! In fact, even better, don’t even criticize, not even in private, just say nothing. They will never get it and will never change so just don’t invest any energy in feedback – they are not worth your attention, time and prestigious expertise. Obviously this is a caricature but we do find a lot of watered down versions of these terrible attitudes in development work. I also don’t deny that in certain situations there might be a teeny tiny grain of truth in some of the statements above but by and large they all miss the point of empowerment and bring a shameful (post-? )colonial twist to development (cooperation) work. Let’s all face our own bad habits and see how many of these we can trade for true empowerment in our thinking, discourse and actions… Time to be honest about our own limitations and about the great potential of all other people around us. Empowerment: stop talking about it – just do it!